The application notes listed below pertain to this product. More application notes can be found on our blog. 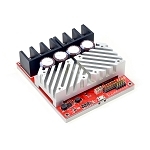 The RoboClaw 2x200AHV is an intelligent high power motor controller designed to control two brushed DC motors. 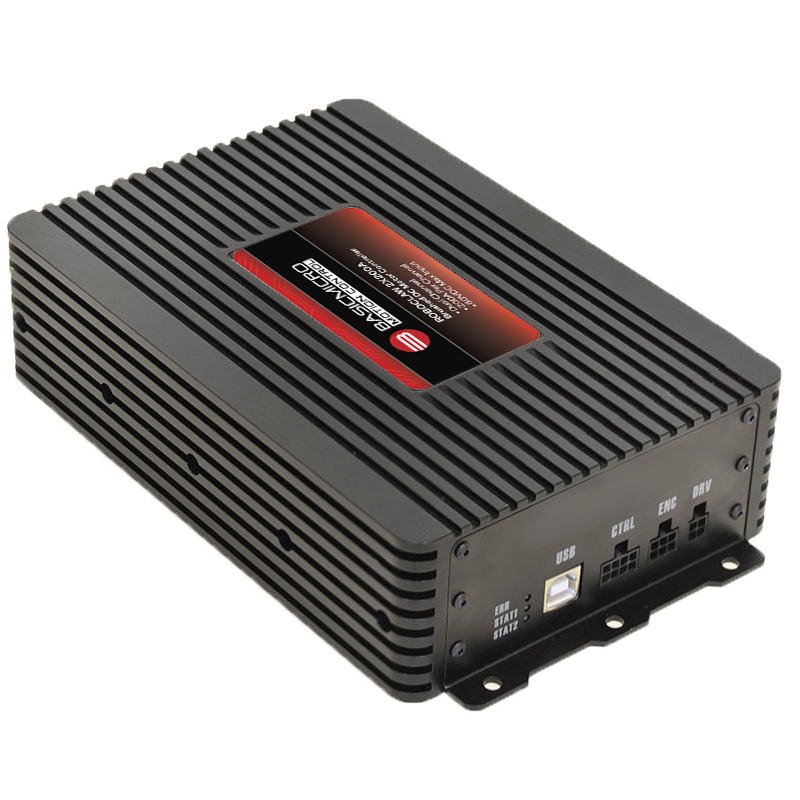 Built to withstand high current at high voltages it supports a peak of 200 Amps per channel with an input voltage of up to 60VDC. It can be controlled from USB, RC radio, PWM, TTL serial, analog and microcontrollers such as an Arduino or Raspberry Pi. RoboClaw automatically supports 3.3V or 5V logic levels, travel limit switches, home switches, emergency stop switches, power supplies, braking systems and contactors. Power supplies can be used by enabling the built in voltage clamping control feature. 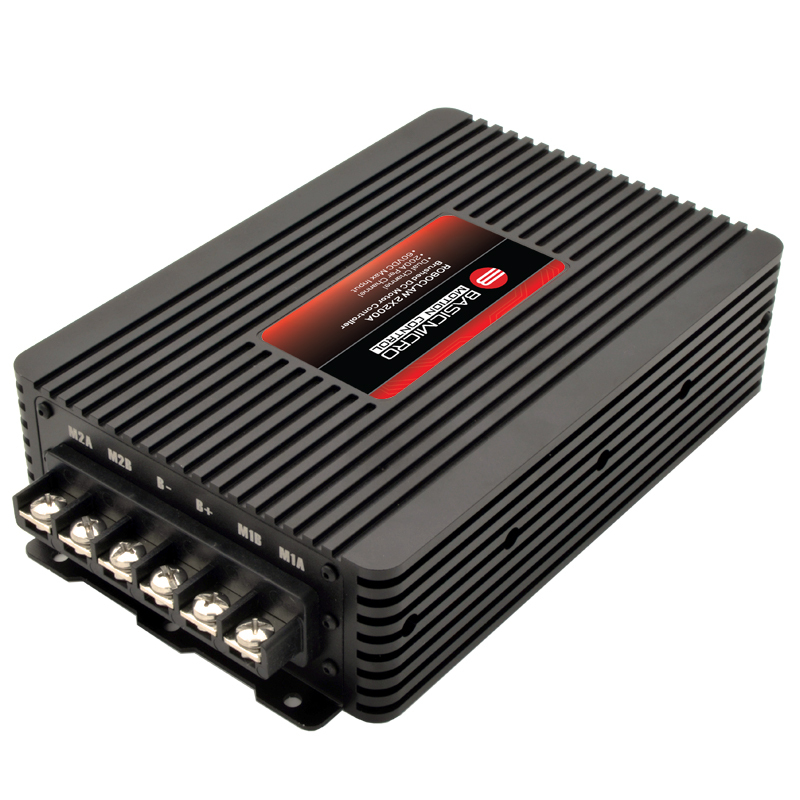 A built-in switching mode BEC supplies 5VDC at up to 3 Amps for powering user devices. Brushed DC motors can be controlled in open or closed loop using position or velocity control modes. RoboClaw features several built-in commands for controlling acceleration, deceleration, distance, speed, current sense, voltage limits and more. RC and analog control modes also include several user defined settings such as acceleration and decelerate speeds. 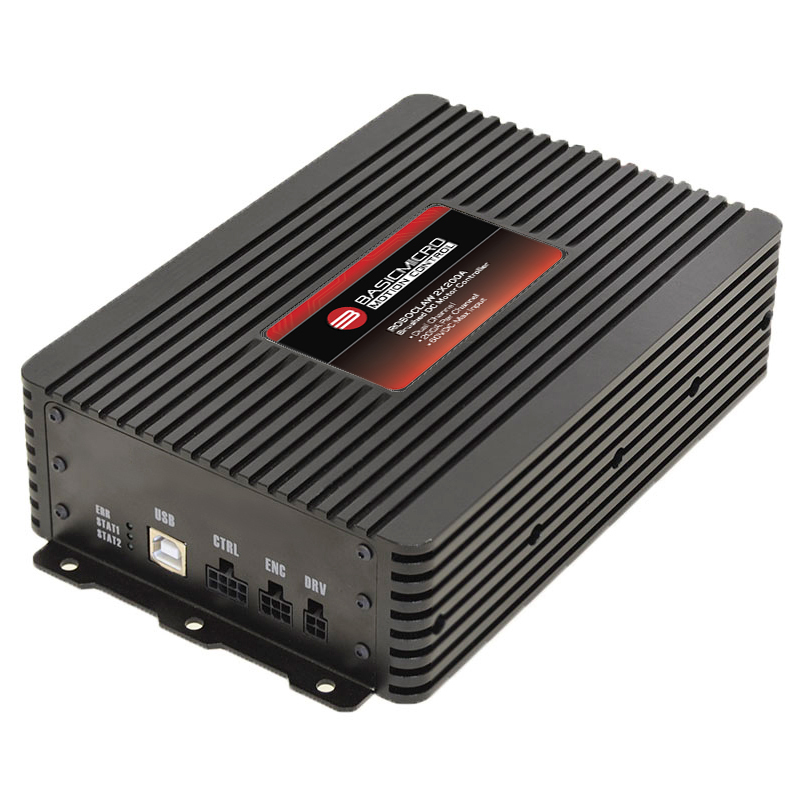 Dual quadrature encoders with up to 19.6 million pulses per second are supported and can be auto tuned using Ion Studio which is a free downloadable application. In addition, a wide range of sensor inputs including potentiometers and absolute encoders are supported. RoboClaw's closed loop functionality creates absolute control over speed, velocity and direction regardless of load changes. RoboClaw incorporates several protection features including temperature, current, over voltage and under voltage limits. The protection features are self monitoring and protect RoboClaw from damage in any operating condition. Several user definable settings such as maximum current limit, maximum and minimum battery voltages are provided for more refined control. RoboClaw's regenerative capabilities will charge a supply battery during slow down or breaking. It's advance circuitry can change direction during full throttle without damage! RoboClaw also incorporates a LiPo cutoff mode to prevent battery damage.